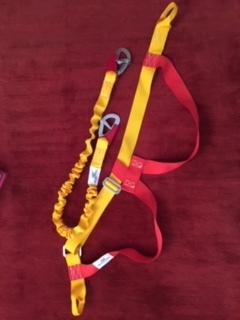 Sailing harness for sale. Good condition. Hardly used. 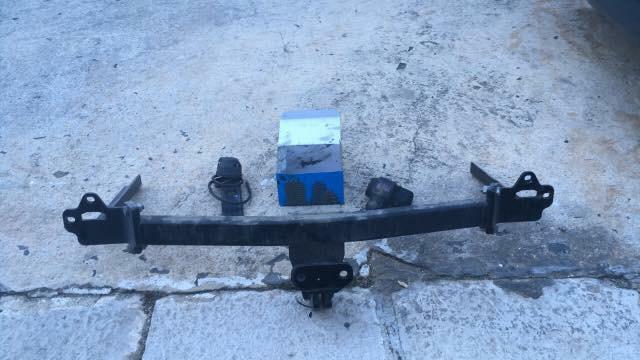 “Universal” tow bar for sale – fits most cars. 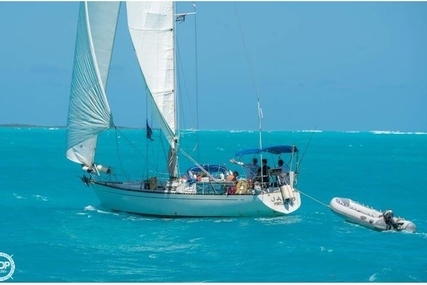 Dr.Ron Shanson believes that he has sold his S/Y Feels Great, and is now looking for two other CBYA members who may be interested in buying a share of a much smaller yacht to put in his berth at the Real Club Náutico de Dénia. He would like to find two partners who would each cover a third of the purchase price, as well as a the third of running costs. 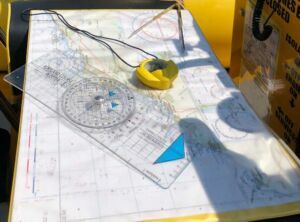 He is currently considering a 38 ft OY Fiskas Finnsailer (40 years old), which is presently in Greece, for which the owners are asking EUR 29,000. 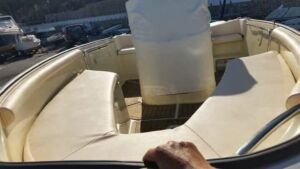 The yacht has had one owner from new, and is in amazing “new like condition”! This yacht might sell for EUR 23,000 (about EUR 8,500 each). 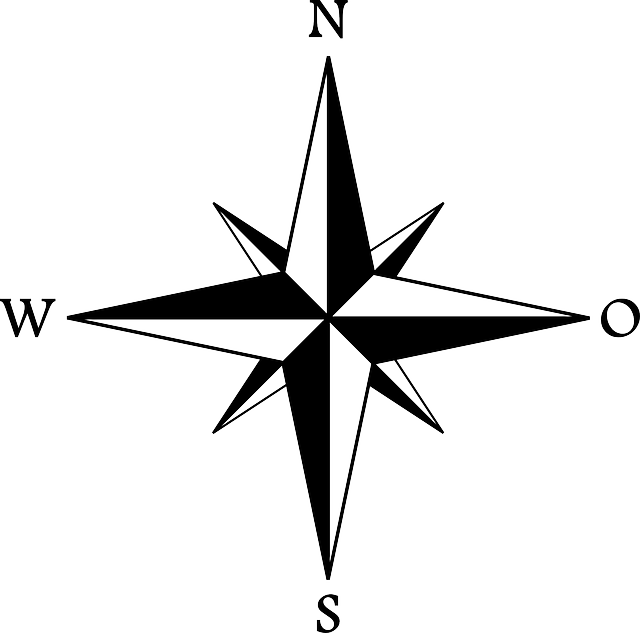 See image above. He is also looking at a Gib’ sea 96 (32ft), which is presently in Denia, for which they are asking EUR 23,000. This yacht might sell for EUR 18,000 (about EUR 6,000 each). See image below. If anyone is interested in discussing this opportunity in more detail, please contact Dr. Ron on 677 146 633. 6.27 meter centre boat . 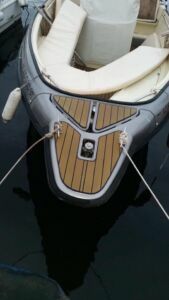 Volvo Penta 3 liter , 140 hp inboard . Boat is located out of the water in Altea. There is a yard trailer , transportation can be provided. 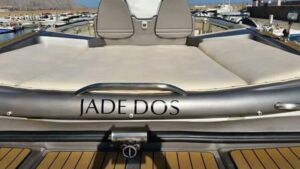 Reason for sale – bought a RIB. 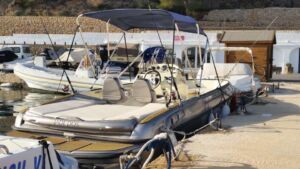 DEAL: Why Not Get Legal with the Sea School Costa Blanca? 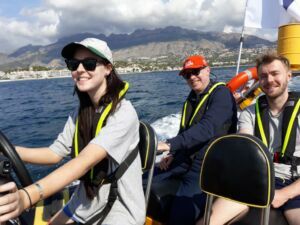 Sea School Costa Blanca is offering discounts for CBYA members! Royal Yachting Association (RYA) recognised training centre, based in El Portet, Altea. RYA Powerboat level 1 and 2 courses, run throughout the year, even if only one person books! 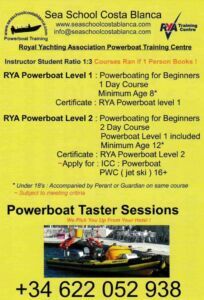 Contact CBYA member David Hill for training and powerboat advice. 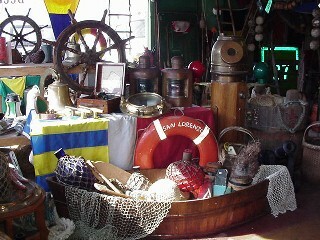 Accastillage Diffusion Chandlery in Dénia. We are pleased to announce that we have negotiated a special discount agreement with the ‘Accastillage Diffusion‘ Chandlery, located near the Club Nautico de Dénia, which allows all paid-up CBYA members to benefit from a TEN (10%) discount on all of their stocked products upon presentation of proof of CBYA membership. Click HERE to learn how to prove you are a current member. 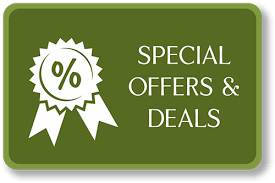 We hope that you will take advantage of this excellent offer. 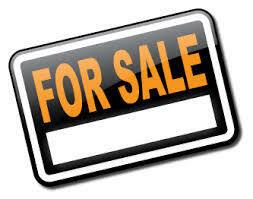 Does anyone have any Boating/Sailing – Nautical items they wish to advertise for sale on our website.? It’s Free and for up to three months. If so, please send the details in a text ‘Word’ format, with photographs in a separate file. To: info@cbya.org Stating in the subject line, ‘For the attention of the Webmaster’.